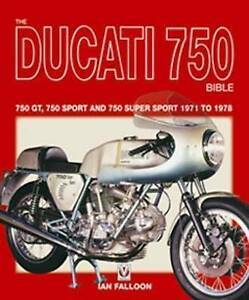 Description When Ducati's great engineer Fabio Taglioni designed the 750 Ducati in 1970 there was way he could comprehend how important this model would be. His design was unlike any other before or since; a 90-degree V-twin with single overhead camshafts driven by a train of bevel gears. Taglioni soon developed his 750 into a Formula 750 racer, and in 1972 beat the rest of what the world had to offer at the Imola 200. With this victory, the desmodromic 750 became a legend. Ducati responded by producing a hand-built limited production desmodromic Super Sport. They also continued to produce the touring 750 GT and sporting 750 Sport until legislation killed them at the end of 1974. Today, this triumvirate of 750s represents the end of an era; the era before cost accounting and government design requirements. These were among the last pure, unadulterated sporting motorcycles built and it is t surprising they have inspired a new generation of retro classics, the Sport Classic of 2005 and 2006. 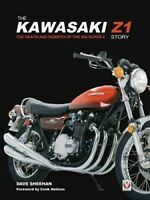 Author Biography One of the world s foremost motorcycle historians, Ian Falloon is the author of twenty books on motorcycles, including ten on Ducati. 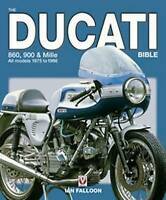 These titles include the best-selling Ducati Story, and Ducati Twins Restoration Guide. As an owner of several Ducati 750s since 1973 he has a particular enthusiasm for this model, still owning the 750 Super Sport he bought back in the 1970s. Ian Falloon trained as a symphony orchestra oboist before a serious motorcycle accident forced a change in profession. Now a freelance contributor a number of motorcycle magazines around the world, he was born in New Zealand but currently lives in Australia with his wife Miriam, and sons Ben and Tim.